Android has definitely taken the mobile marketplace by store over the previous few months, and while the Motorola DROID has a lot to do with it the beginnings of this uprising can be traced back to the launch of the HTC Hero. 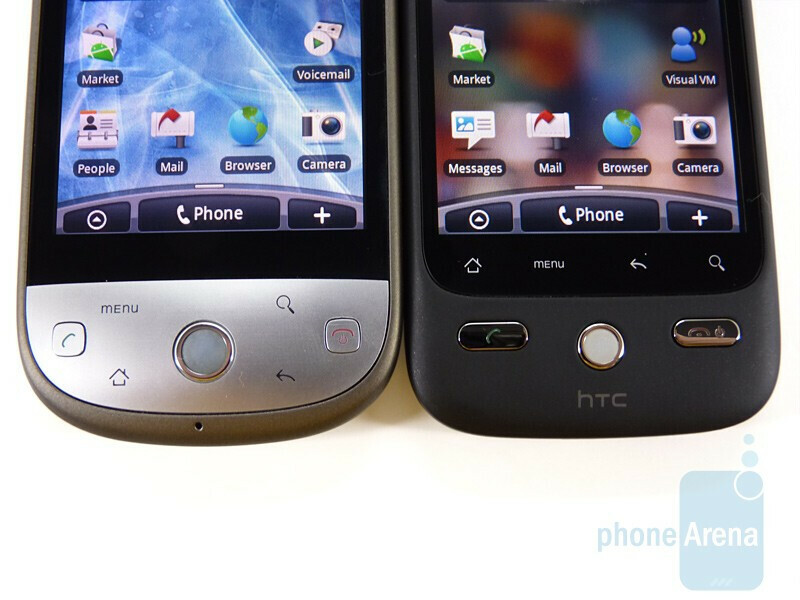 The Hero was the first handset to tap into Android’s potential with its custom Sense UI replacing the rather bland stock interface. It made a splash in the European and Asian markets, then was reworked and brought to the States via Sprint and later Verizon. Technically the Verizon version is known as the DROID ERIS, but we know a Hero when we see a Hero, and this, friends, is a Hero. 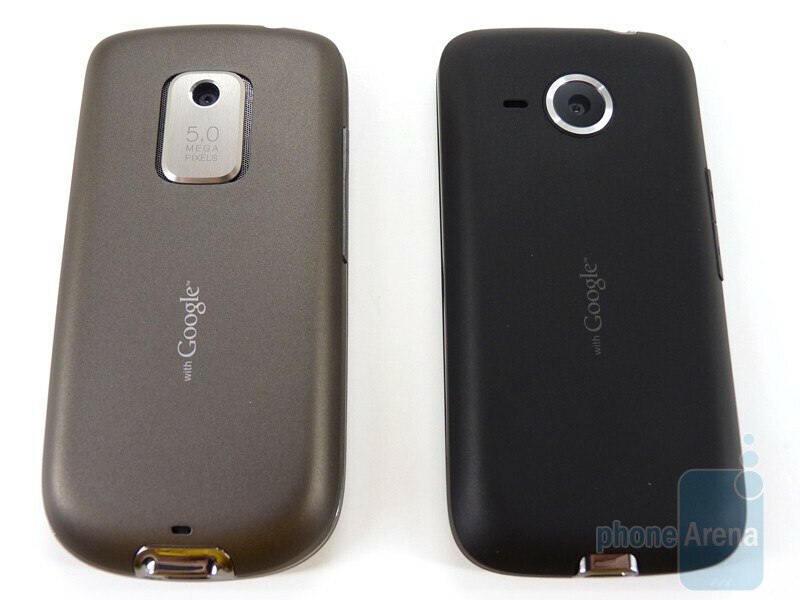 Neither the Sprint Hero nor the DROID ERIS looks like the original GSM Hero. Both eschew the bold, angular lines and jutting chin of the GSM version in favor of gentler curves. Between the two, the Sprint Hero is much more round than the semi-boxy ERIS. 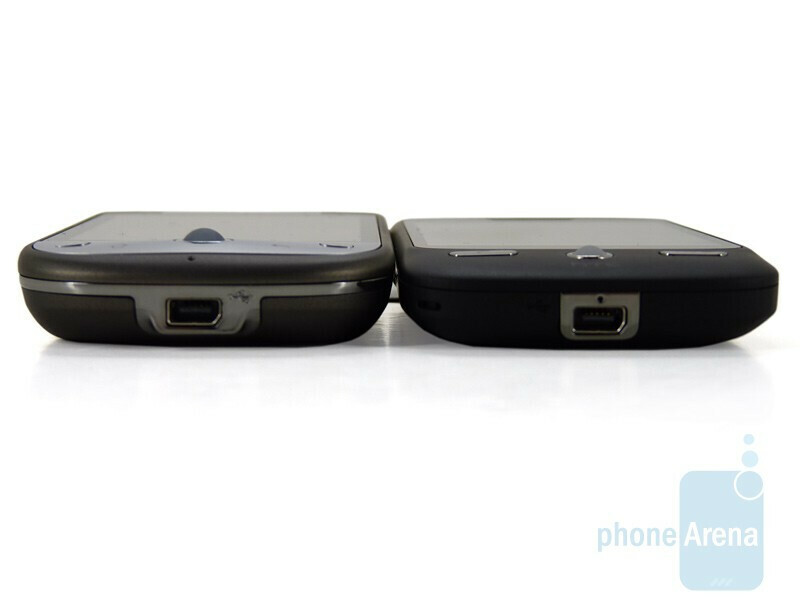 Both have tapered sides so that the phone sits comfortably in your hands. The ERIS is a millimeter thinner, but this is at the expense of battery as it only has a 1300mAh whereas the Hero has a 1500mAh powerplant. The two feel nearly identical in the hands; the extra size of the Hero isn’t really noticeable nor is the extra quarter ounce. While both are coated in soft-touch paint, the DROID ERIS feels a bit better to us and we prefer the black color scheme. One thing we have noticed is that, with long-term use, the Hero’s gray begins to discolor slightly. One thing we do appreciate on the Hero is the oversized trackball. The increased size makes it more comfortable to work with. We like having the trackball option on both phones, even if we don’t use it all that much. It definitely comes in handy at times when you don’t necessarily want to just use the touchscreen. We definitely prefer the capacitive buttons on the ERIS when compared to the physical ones on the Hero. The Hero’s buttons are too easy to press accidentally, especially when the phone is in your pocket. By making the keys capacitive on the DROID ERIS, HTC made this a non-issue. Because these keys are at the bottom of the display there is more room for the Send and End buttons on the ERIS; we feel the button cluster on the Hero is just a bit too cramped. Both devices have 3.2” capacitive displays with HVGA resolution. 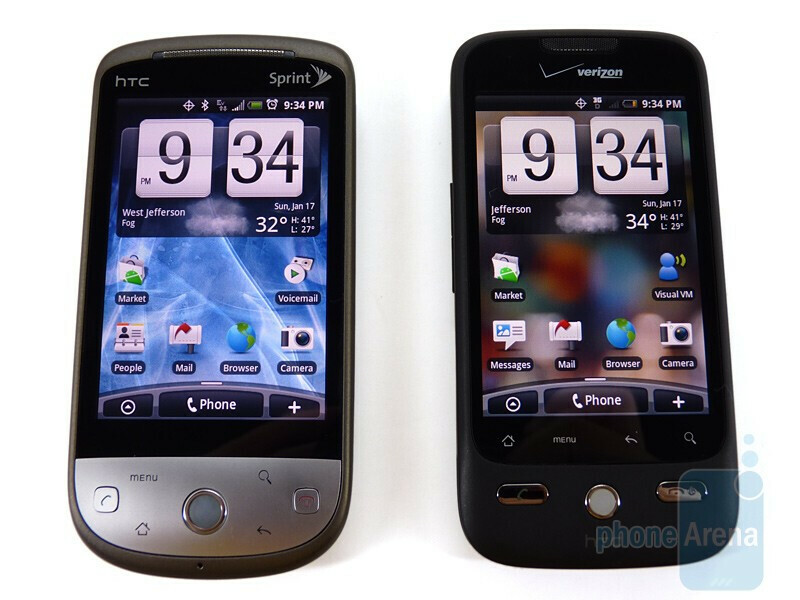 The screen of the HTC DROID ERIS seemed to be slightly brighter though, and whites were whiter when compared with the Hero. The differences are only noticeable when scrutinizing the displays side-by-side though. The DROID ERIS does have a proximity sensor, something the Hero is sorely and curiously lacking. We would have no problems carrying either device, but given the choice we prefer the ERIS’s design overall. The better navigation area does a lot for us, and we like the black color scheme better. We’d like to have the bigger trackball and better battery offered by the Hero, but we guess you can’t have your cake and eat it too! Keyword there is "Think" Thats a personal oppinion, not a fact. I like the look of Eris more myself.